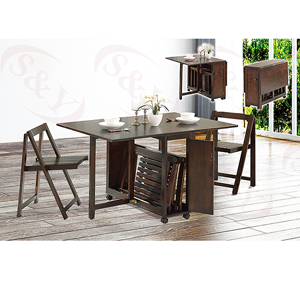 Dark Cappuccino Finish Folding Table and Chairs. 4-Chairs included in the set. Wheels for mobility. Strong Wooden Construction. Easy assembly. 29 In. High x 47 In Open x 24 In. Close x 32 In. Wide.